For one small monthly fee Ordersnapp delivers far more than just a POS system. 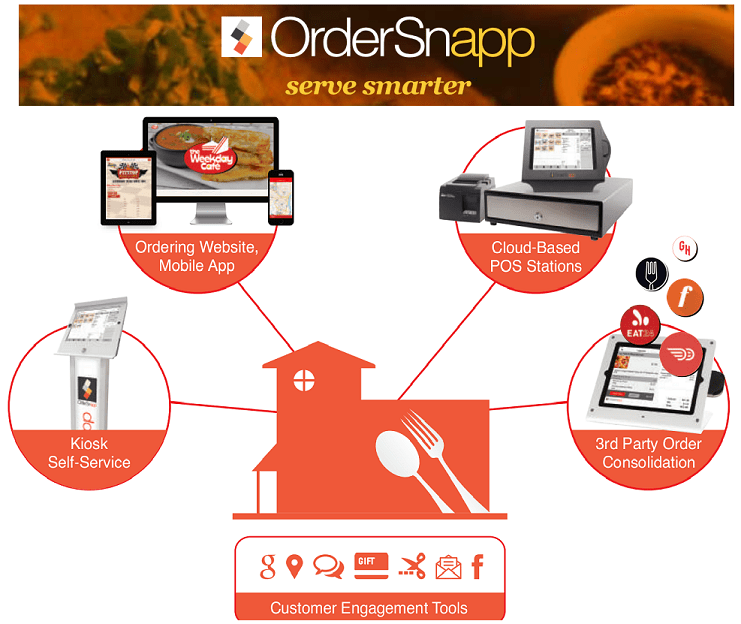 Ordersnapp is a complete POS customer engagement tool. Not only is this a POS system but we have bundled in Online Ordering, your own custom App, integration with Uber Eats and Grub Hub and a customer loyalty system too. Our cloud based system gives you freedom. The freedom to use Apple iPads for POS terminals, the freedom to access your data from anywhere and the freedom to serve your guest and your business better and faster. With Ordersnapp you can easily capture customer emails and use the built-in email tools to email targeted coupons and encourage online orders or a return visit. Build Value for their repeat business while you develop brand loyalty.